Interested in artificial intelligence? Don't know where or how to start learning? Nothing substitutes rigorous formal education, but that's not an option for everyone for a whole host of reasons. But learning more about artificial intelligence, and the myriad overlapping and related fields and application domains does not require a PhD. Getting started can be intimidating, but don't be discouraged; check out this motivating and inspirational post, the author of which went from little understanding of machine learning to actively and effectively utilizing techniques in their job within a year. This could be considered the premier, pioneering, online-oriented, open-access university level AI course in existence. While mentioned that the homework assignments are not public, a series of progressing Pacman projects are, which cover search, reinforcement learning, classification, and beyond. Led by professors Dan Klein and Pieter Abbeel, the lectures, videos, exams, and other materials date way back to 2014; however, it should come as no surprise that what you would learn in this course would in no way be outdated. Having consumed much of this course material several years ago myself, you can undoubtedly gain a competent overview of foundational AI topics here, including both theory and practice. What is this course about? What do web search, speech recognition, face recognition, machine translation, autonomous driving, and automatic scheduling have in common? These are all complex real-world problems, and the goal of artificial intelligence (AI) is to tackle these with rigorous mathematical tools. In this course, you will learn the foundational principles that drive these applications and practice implementing some of these systems. It is easy to assume that some combination of these first 2 course materials would provide a substantial introductory artificial intelligence education. Also, given that at least a few of the texts used in the Stanford course are (legitimately) freely available online, a near-immersive experience is possible. This is David Silver's renowned reinforcement learning course from University College London. The material is concise, consisting of both lecture videos and corresponding slides, the combination of which is packed with information. This is not an introductory AI course, as the previous 2 courses were, but focuses instead on one of its most exciting and actively-researched areas. 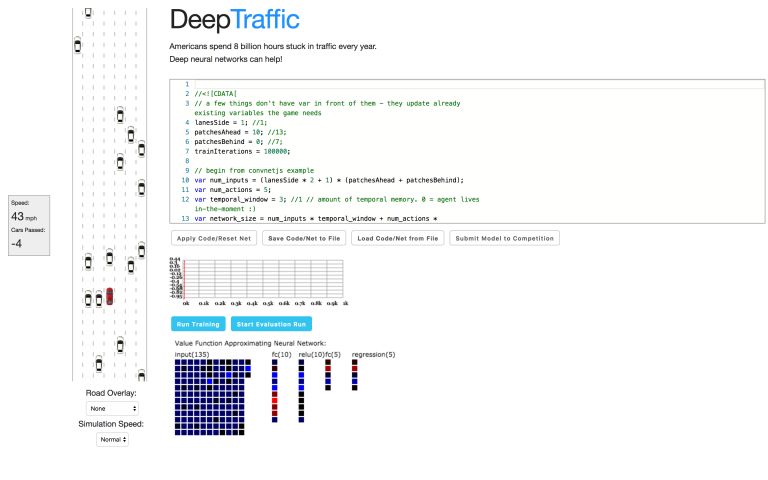 The fact that it is constructed by one of Google DeepMind's own makes this worth the time. Taught by Sergey Levine, John Schulman, and Chelsea Finn, this course is another take on reinforcement learning. The course is presently ongoing, with new lectures being streamed live as they happen, and available afterward as well. The course materials include the aforementioned videos, slides, tutorials, and homework. Guest lectures are scheduled, including, of note, Igor Mordatch of OpenAI and Mohammad Norouzi of the Google Brain Team (as well as other Berkeley rockstar professors). The homework makes use of standard frameworks like TensorFlow and OpenAI Gym. This course has been making a splash online since going live, an MIT course on self-driving cars led by Lex Fridman. Like the previous course, this is also presently ongoing. As deep learning continues its transition from research to real world tool, it's interesting to see these deep learning specialized application courses pop up at distinguished universities all around. Also, with Udacity's self-driving car nanodegree recently announced, the combination of these 2 white hot buzzword technologies into course material is a no-brainer. And that's not a veiled shot: these are very symbiotic technologies, representing a de facto technological marriage of necessity. Back to the course, it contains video lectures and a healthy dose of related materials, from tried and tested introductory Python and deep learning tutorials to historical autonomous vehicle information. Both DeepTesla and DeepTraffic simulators are leaned on, and a number of guest talks are scheduled for later in the semester. Interestingly, the public (non-MIT students) can even register for an account on the site.